Directed by Lynn Holden, the ITeN is a Interdisciplinary Teaching Network and focused on interrelating the key ideas, events, places, people and artifacts which define and illuminate great human achievements throughout world history. 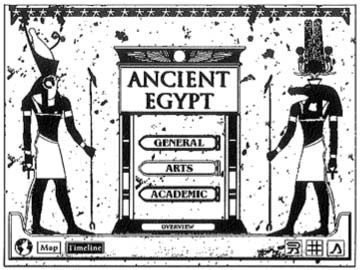 The Egypt project explored and addressed the pedagogical problems of interactive-multidisciplinary learning, which include: Instructional system design for computer aided instruction; Linking structures in hypermedia systems; Instructional utilization of computer driven videodisc systems; Recontextualization of widely separated artworks; and Exploration of multi-sensory learning environments. SFCI Archive: ITeN :: Interactive Teaching Network (1991). 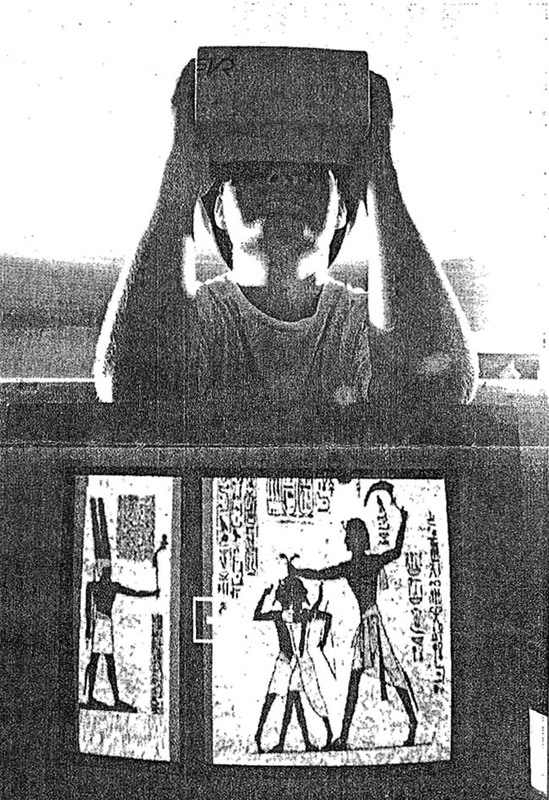 The interface design of the program reflected the ancient Egyptian aesthetic, so that even though you were in a machine environment your senses were prepared for the artworks encountered. By using original materials, flexibly organized and formatted to produce a synthesis of knowledge materials in an interlinked matrix, it is possible to create completely new types of learning environments.